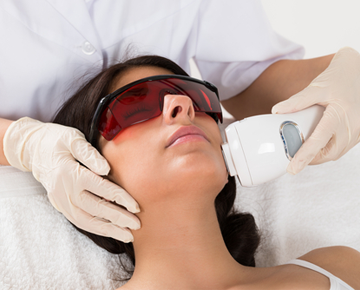 Lasers use different wavelengths to target the hair follicle, heat it, and destroy it whilst leaving the surrounding skin untouched. The damaged follicle is will not be able to produce any further hair. 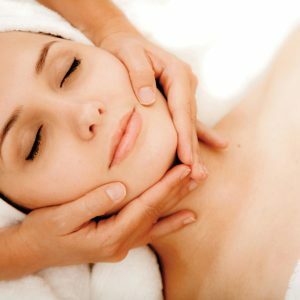 Anti-wrinkle treatments reduce the lines on your face without having to resort to surgical procedures, facial rejuvenation techniques can soften wrinkles for a more youthful appearance. Dermal Fillers are used to treat fine lines, wrinkles and folds, usually around the lower half of the face, such as around the mouth. Hyaluronic acid is naturally produced in our bodies to provide elasticity and volume to the skin. Environ is a globally recognised and loved Professional Skin Care brand that is built on science, beauty and care. They believe that skin has a life and that vitamin A is the oxygen it needs to look healthy and beautiful for life. 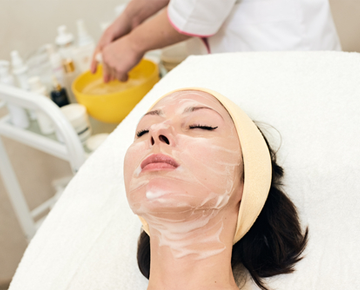 Each Environ facial is adapted to meet the skin concerns and needs of the individual client. Emerge™ fractional laser penetrates below the skins surface accelerating the promotion of collagen improving the appearance of fine lines and wrinkles, open pores, pigmentation and skin tone. 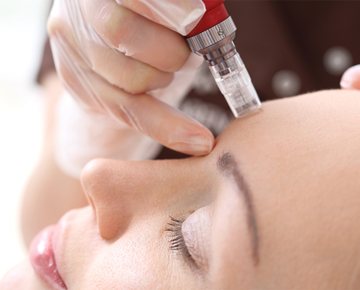 Micro needling introduces a series of fine sharp needles into the skin to create many microscopic channels stimulating collagen and elastin production, filling in fine lines, plumping the skin and contributing to a younger look. Dermalux LED Phototherapy treatment stimulates the skins natural repair processes to speed up cell renewal, resolve problem skin conditions and promote vibrant healthy-looking skin. The Epionce Peel System uses malic acid and a combination of salicylic and salicin derived from willow bark which can be used on all skin tones including sensitive and mature skins with little or no downtime. Dermaceutic Professional Treatments include the Milk Peel, Cosmo Peel and Mela Forte which address a wide variety of skin issues including dull complexion, acne prone skin, skin aging and pigmentation.